The interestingly named Butts Wynd in St Andrews. Connecting North Street and The Scores. The clock tower is the steeple of St Salvators Chapel. 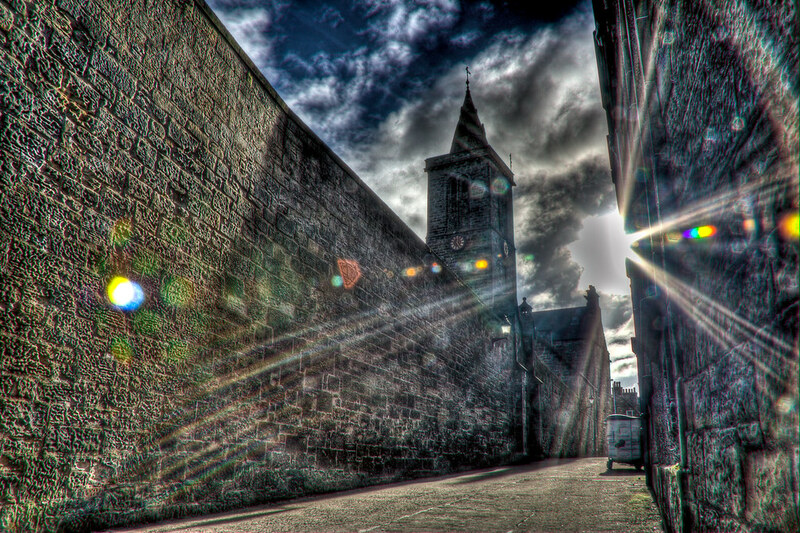 This entry was posted in Church, Medieval, Scotland, St Andrews and tagged chapel, Church, fife, hdr, Medieval, scottish, skreid, St Andrews, street, tower, town, urban, wall. Bookmark the permalink.